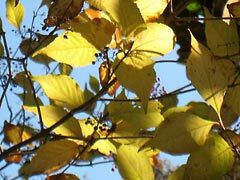 Viewing autumn leaves traditionally belongs to popular yearly events in Japan. 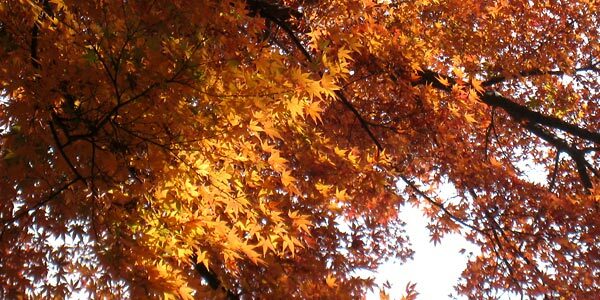 There are many excursion places to appreciate red and yellow leaves around Tokyo, such as Hakone and Nikko. Nowadays in every weekend those popular places are crowded with tourists. 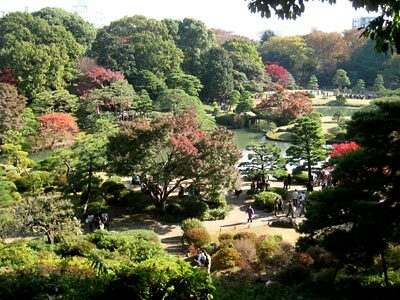 Also in the urban areas of Tokyo, many parks and gardens have beautiful spots. 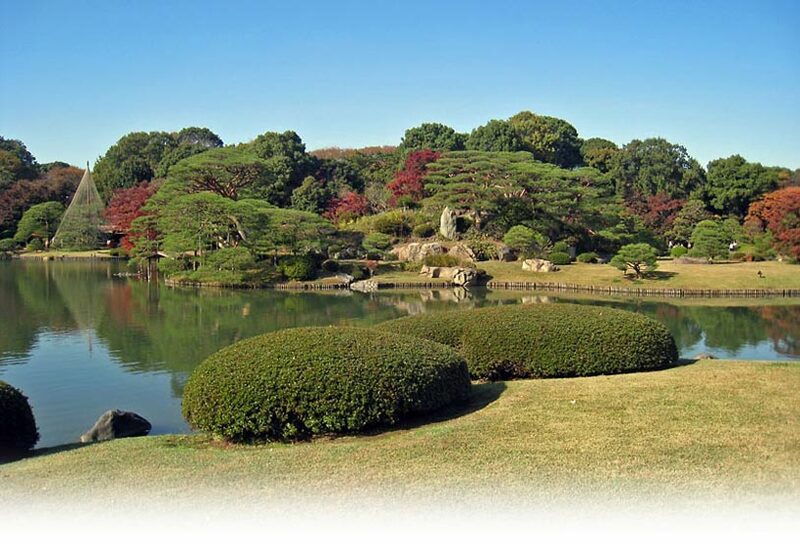 Rikugien is a special place, as it is one of a few traditional gardens built in the Edo period. 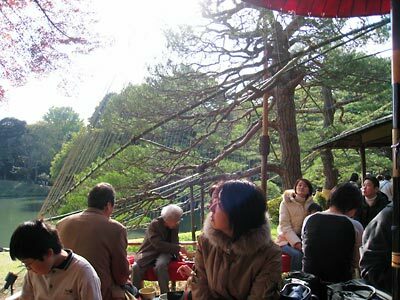 Here we can enjoy the beauty which a daimyo - feudal lord - created three hundred years ago. Yoshiyasu started to serve Tsunayoshi as page. After Tsunayoshi became the fifth shogun, Yoshiyasu was favored by him and promoted to a daimyo with the large fief of Kawagoe. He possessed the most powerful position in the shogun government with the strong backup of Taunayoshi. Enjoy the scenery while sipping green tea. Yanagisawa Yoshiyasu planned Rikugien by himself, worked 7 years for its construction and completed it in 1702, when he possessed strong power. 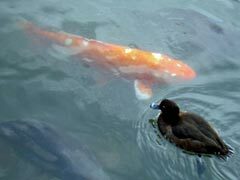 The plan of the garden reflects the poetical world of Japan and China. Shogun Tsunayoshi seemed to love this garden and visited it 58 times in total. 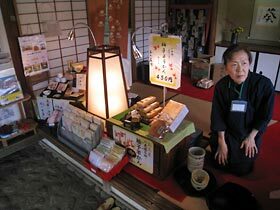 Not only shogun but also many ladies in waiting visited Rikugien and relaxed themselves. 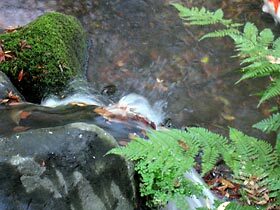 In the Meiji period, the garden came into the possession of the founder of Mitsubishi conglomerate and then donated to Tokyo municipality. Therefore, ordinary citizens can now enjoy the beauty of a luxury garden. The site was originally a flat terrain. But, a large pond was dug and a 35m high "mountain" was created, and we can now stroll around the pond and enjoy changing scenes from different angles. The garden stretches over 8.8 ha with 6,100 large trees. People say that Tokyo is scarce of green zones. I think this is not true. 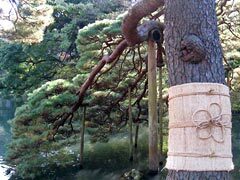 Apart from the imperial palace you can find many woods related to shrines and temples, and in addition to this every small house is equipped with a tiny garden.